One of our main goals in making traditional, healthy, and fresh foods more available in our native communities. Part of success in that effort is building more interest in eating and buying those foods when they are available, and cooking for the community is one of the ways to build that interest. We recently cooked a pot of corn soup for the Nett Lake community on the Bois Forte reservation in northern Minnesota. While we weren’t able to reach as many wild ricers as we hoped due to bad weather that kept them off the lake that day, we did draw in several elders and youth. 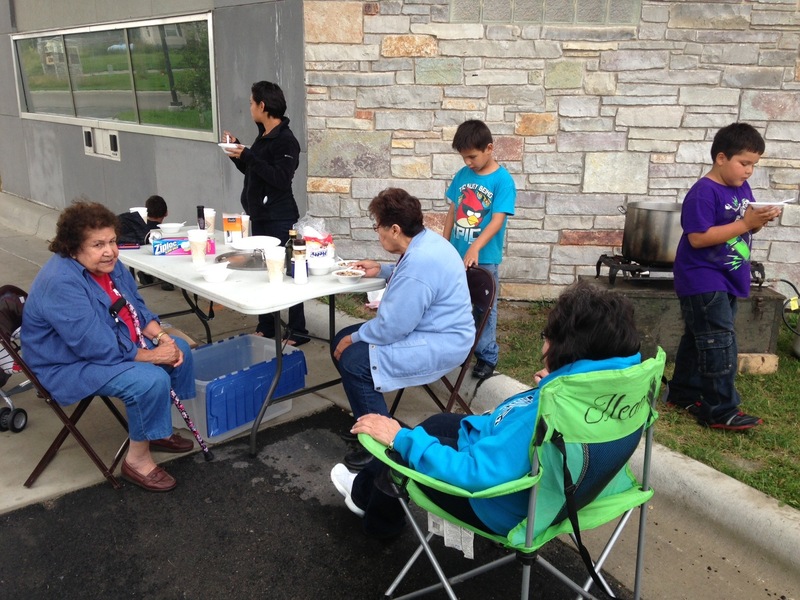 It was the first time many of the youth tasted hominy corn, and it also led the elders to start sharing stories about how they used to eat hominy corn but hadn’t seen it in years.